Home BUSINESS Sonko bans all matatus from the CBD effective December 3. Sonko bans all matatus from the CBD effective December 3. 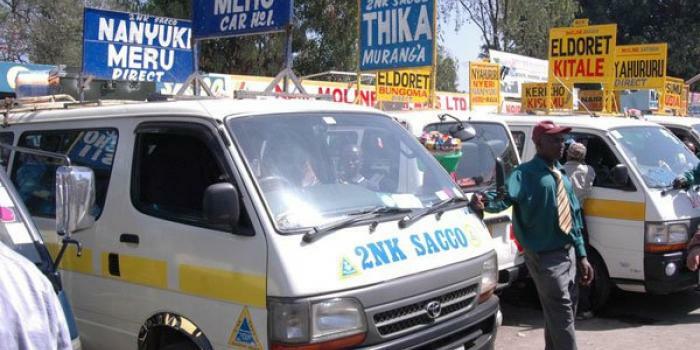 Effective December 3, no matatu will be allowed to access Nairobi’s Central Business District (CBD). This follows an order by acting county secretary Pauline Kahiga who says that the ban will be in line with a May 12, 2017 gazette notice. In the gazetted notice, matatus from Thika Superhighway, including Ruiru and Kiambu Road, will break their journeys at Fig Tree terminus B. All PSVs that go past Ruiru but branch off before Kenol town on Nyeri/Meru-Nairobi Road will stop at Desai Road. Those accessing the CBD from Jogoo and Lusaka Roads will drop passengers at Muthurwa terminus while commuters using Waiyaki Way, Uhuru Highway, Kipande and Limuru roads will have their final stop at Fig Tree terminus A.
Ngara Road terminus will be the final stop for vehicles using Juja Road, Ring Road Ngara and Park Road to access CBD. All vehicles on urban and peri-urban routes from Mombasa Road and Langata Road will use Hakati terminus. Railways terminus will be used by vehicles from Ngong Road whereas all high capacity PSV vehicles from upcountry will be stationed at the Machakos terminus. The PSVs such as City Hoppa, Kenya Bus Services - which are on a diametric route, will be stationed at Central Bus Station. All previous gazette notices allocating any other place as picking and dropping areas within CBD are hereby revoked and become null and void as from Monday.